The University of Maine football team’s success this season was forged in tragedy. Darius Minor, projected to be a defensive back for the University of Maine, collapsed and died during a supervised preseason workout last summer. 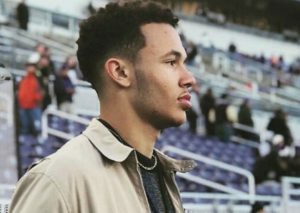 Freshman defensive back Darius Minor collapsed and died July 24 during a supervised preseason workout, just a few weeks after he arrived on the Orono campus. 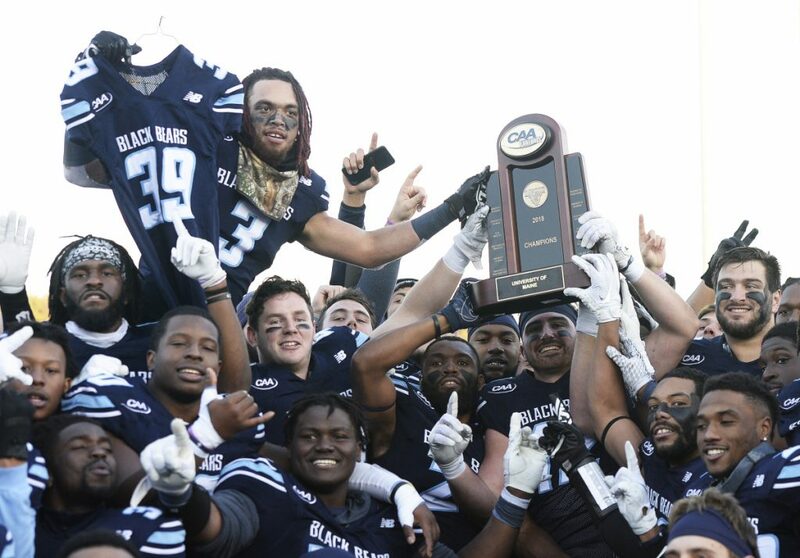 Minor’s shocking death provided inspiration for the Black Bears, who captured their first Colonial Athletic Association championship in five years and a berth in the NCAA Football Championship Subdivision playoffs. UMaine (8-3) will play Jacksonville State (9-3) in the second round of the FCS playoffs at noon Saturday at Orono’s Alfond Stadium. Minor, 18, of Locust Grove, Virginia, died of a heart condition, according to autopsy results. A sticker with Minor’s initials and number – the 39 he would have worn on his jersey – was placed on team helmets. The No. 39 jersey is present at practice every day and on UMaine’s sideline during games. Linebacker Deshawn Stevens wrapped Minor’s jersey on his shoulders in the postgame news conference after UMaine clinched the CAA title Nov. 17 with a 27-26 win over Elon. In a season of memorable moments – including Doak’s game-winning field goals on the final play in successive weeks – perhaps the most unforgettable one came Nov. 10 in the minutes after UMaine’s 28-9 win in Richmond, Virginia, a victory that clinched at least a share of the league title. “Words can’t express what that specific moment meant,” said Rob Otey, Minor’s cousin and the family spokesman. “There were about 10 of us at that game. And we weren’t expecting that to happen. The UMaine players were humbled by the moment. Minor died during a workout that included pushing a blocking sled. After completing one set of the drill, the team took a four-minute water break and Minor tapped UMaine strength coach Jon Lynch on the shoulder and said he was feeling faint. Moments later he collapsed and, despite efforts to resuscitate him, was pronounced dead. It was later revealed that he died from a heart condition called “acute aortic dissection with cardiac tamponade” with “hypertensive cardiovascular disease” as a contributing factor, the Maine Medical Examiner’s Office said. Eight days after Minor’s death, the Black Bears had their first preseason practice. It was evident that the tragedy provided inspiration. “When it happened, we knew we had something to play for,” said Manny Patterson, a junior defensive back who earned all-CAA first-team honors. “We knew we had to play our season out for him. It made us realize you can’t take anything for granted. You had a kid with all the potential in the world … and we will never know. It’s sad that it’s like that. UMaine’s Darrius Hart holds up Darius Minor’s No. 39 jersey as the University of Maine Black Bears celebrate earning the Colonial Athletic Association conference title with their 27-26 victory over Elon on Nov. 17. “Everywhere we go … it’s always going to be with us,” said senior defensive back Jeff DeVaughn. That’s been the mantra of this team all year: Play until the final snap, play for those who can’t. “We pulled strength from him and his family,” said senior wide receiver Micah Wright. “His memory lives on. He’s watching down on us and he’s with us at all times. Picked to finish eighth in the CAA’s preseason poll, UMaine opened the season by throttling rival New Hampshire 35-7, taking home the Brice-Cowell Musket – given annually to the winner – for the first time since 2010. New Hampshire was ranked seventh in the nation at the time. Minor’s family was honored before the game with an on-field ceremony. Since then, Otey and Minor’s younger brother, Cameron, have been to a couple of UMaine road games. Those they can’t make, they watch. “It’s been nothing short of magical,” said Otey, who plans to be in Orono on Saturday for the playoff game. “We’ve been with them the whole season. As soon as the game ends, I’m in touch with Coach Joe, shooting him a text message, offering congratulations or, if it was a loss, asking how the guys are doing. The season was not without its drama, for sure. In Week 2, UMaine erased a 21-point first-quarter deficit to earn a 31-28 victory over Western Kentucky, a larger school that has more scholarship players and plays in the Football Bowl Subdivision. Doak’s last-play field goals proved the difference in wins over Villanova and Rhode Island. Sterling Sheffield’s tackle at the 2-yard line with 1:21 remaining preserved UMaine’s 35-28 win over Towson. Then Sheffield’s quarterback hit on Elon’s final play with 58 seconds remaining sealed UMaine’s 27-26 victory and the CAA championship. UMaine finished the season with four consecutive wins, including the victory over Richmond in which Harasymiak gave the game ball to Minor’s mother. The coach choked up once, then with the team screaming in the background, yelled, “Darius is a conference champ” as he gave her the ball.